South Texas is one of North America's top birding hotspots and is unlike any other destination in the continental United States. Birders need to be prepared for the unique atmosphere of birding in South Texas, so they do not miss a moment of the extraordinary birding this region offers. Texas is the second largest state in the United States, lagging only behind Alaska in the area. Stretching more than 800 miles from the northwestern corner of the Texas panhandle to the southernmost point along the Gulf of Mexico, this state offers a wide range of habitats with diverse geography and distinct climatic zones. The South Texas region includes San Antonio and all points south of the city, to the Rio Grande in the south and east to the Gulf Coast, including the barrier island chain. The coastal part of this region is often called the Coastal Bend, and due to the moderating effects of the Caribbean Sea, has its unique climate and habitat types. Within South Texas, habitats range from arid and semi-arid desert regions, grasslands, scrub brush and open ranches to dense subtropical forests and marshes with intense humidity. The terrain varies from steep desert washes to rolling prairies to lowland valleys, often with meandering rivers and oxbow lakes creating unique pockets of habitat. The climate can be quite variable, with intense rainstorms, flash floods or long-term droughts all possible in different areas, though this part of the state sees fewer tornadoes than the rest of Texas. Temperatures are generally mild to somewhat high, with warmer highs on the interior and cooler breezes on the coast. In addition to these specialty birds, South Texas is also a haven for overwintering shorebirds, many of which nest far north in Arctic regions. When these birds are in their non-breeding range along the Coastal Bend, they are much more accessible for birders to add to their life lists. Furthermore, the Coastal Bend is often a hotspot for spring migration fallouts, as well as vagrant sightings of rare and unusual birds from more southerly tropical regions. Optics: With the diversity of habitats to explore and different birding experiences to try, birders should be equipped with both binoculars and a spotting scope. Optics should have a waterproof casing, and steps should be taken to keep binoculars and scopes from fogging up in the high humidity of South Texas. Field Guide: This area has so many unusual birds, it may be best for birders to bring along several field guides. A comprehensive North American field guide is essential, and a Mexican guide with detailed range maps of northern Mexico along the Rio Grande can be helpful for specialty birds or vagrants. Tropical Clothing: Lightweight, light-colored clothing with breathable fabrics will be most comfortable for South Texas birding. Long pants and long sleeves can also provide sun protection. Sturdy shoes are essential, and extra pairs of socks may be welcome if feet get too sweaty or wet. Water and Snacks: Plentiful cool water and tasty snacks can help keep up the energy for long excursions through the extensive refuges and preserves of the region. Keep extra water and snacks in a cooler for even better refreshment. Sunscreen: The southern latitude of the region means sunburns happen more efficiently, and birders should use a high-SPF product for the best protection, reapplying sunscreen every few hours in very hot conditions. A broad-brimmed hat and comfortable sunglasses can also help provide sun protection. Insect Repellant: Everything is bigger in Texas, including the insect populations. A strong insect repellant can make birders more comfortable, but be sure the chemicals do not get on delicate optics or smudge field notes. Long sleeves and long pants tucked into socks can also minimize insect bites. Passport: A valid passport or similar identification may be useful when birding along the border with Mexico in case the authorities request that paperwork, particularly in isolated areas. Birders might also want to take advantage of border crossing areas for better views or to enjoy a nice meal in Mexico, and the proper paperwork is required to switch between countries. There are many ideal birding locations in South Texas—so many that choosing just one or two may be overwhelming. Even local city parks or gardens may have some resident specialty birds, and exactly where a birder visits will depend on which target birds, they are most interested in seeing. San Antonio and Corpus Christi both have delightful parks, and a visit to Port Aransas is essential for finding endangered whooping cranes. Further south, many of the communities near the Rio Grande have great birding options, including McAllen, Weslaco, Harlingen, and Brownsville. A visit to South Padre Island is essential for coastal species and the possibility of pelagic birds. For birders visiting the very southernmost tip of Texas, Sabal Palm Sanctuary is not to be missed, but wherever birders may migrate to in South Texas, they can be assured of phenomenal birding. Not sure which birding sites to visit or how to organize a South Texas trip? 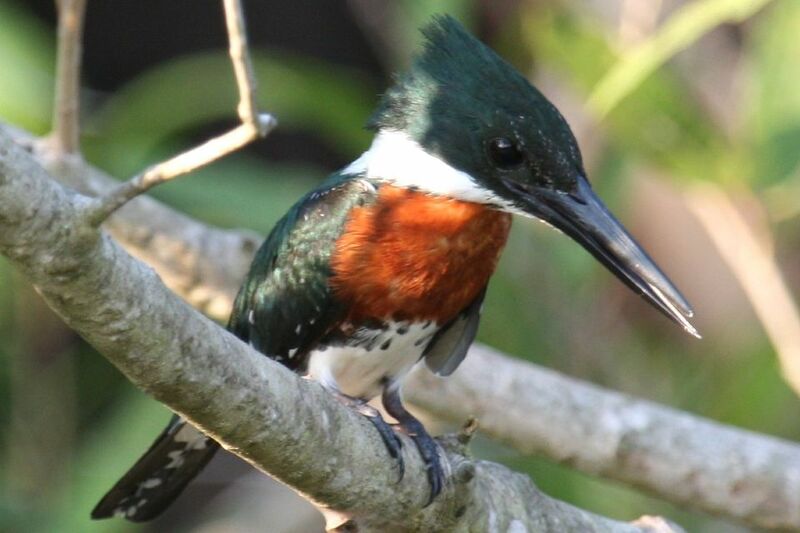 Attend the Rio Grande Valley Birding Festival for the best birding the area has to offer!